Having upgraded from a Nikon P100 to a Nikon P500 a couple months back, I was quite pleased by the enhancements and improvements made by Nikon in their ultra-zoom camera. There were lots of things that were visibly improved to user's delight... but I was baffled to see there was also a very big problem: battery life! While I never had any problem with the P100 battery life, the P500 quickly became an entire different matter. Just a session of photos and videos was enough to drain its battery - leading me to believe there was something wrong with the battery or camera. This was made words as I found that, even if I left the Nikon P500 unplugged after fully recharging it... after a single day the camera would be dead! Update: Nikon has finally released a firmware update that fixes this issue. I searched for answers on the internet and found lots of other users complaining of similar problems; but surprisingly, Nikon's official statement was there was nothing wrong with the camera - that it was user's fault! Then I came across a thread where a user suggested turning off the "Charge by Computer" option which is in "Auto" by default, and to my surprise... it did fix the P500 battery problem! I can now leave my camera unplugged, knowing that will still have a nearly full charge the next time I need it. This is something Nikon should really acknowledge and take a serious look into, as it is clearly a firmware problem! Blaming the users really doesn't suit a brand with such a long standing tradition in providing us with high quality cameras. I really find it hard to believe how they could have launched a camera with such an obvious bug that is affecting hundreds or thousands of people. Anyway, turn off the USB charging option, and you should find your Nikon P500 becomes the camera it should be. so you suggest to NOT charge the camera via USB, and charge only through regular power? or when one's done with charging via USB, then one has to turn off this option, or u suggest that we CAN charge via USB, but turn off that option on its menu? There are lots of people that don't have any issue whatsoever, so.. unless you're experiencing the battery drain problem, you won't need to change anything. With this setting disabled, the camera won't try to charge when it is connected to a computer in "data mode" (for photo transfers). If it's any other "usb power-only" connection, it will still try to charge. i just bought the camera today so i dont know yet if it's my case or not. let's just say i would have this problem. that means that i would not be able to charge vi USB, because in the long term it will affect badly on the battery's life? No, this isn't a battery problem but rather a bug - that should have been fixed by Nikon by now. You'll always be able to charge your computer via USB, providing you're not using it as a data connection. I've had this problem since a week ago, when I got the camera. I'll try your technique and I will come back with my results. I've got my fingers crossed! Hi there, I did your technique yesterday and it worked! I changed the USB setting and then charged it to full. When I left it off for the rest of the day and night, the following morning it was perfectly charged and ready to go. Thanks a bunch man! Glad it helped, I felt just the same when it worked for me. Now, we'll just have to wait for an offical fix to arrive from Nikon. (But at least, we can keep using the P500 until then). Nikon has released a fix för p500 in the firmware version 1.1. I just imported and installed it, and it appears to be OK.
thanks for the new firmware tip. I have the same problem, I tried your fix, it worked for a while until today when I tried to turn on the camera and it won't turn on. I'm so pissed off, this is so annoying, I'm so upset I wanna cry ! I spent a lot of money on this camera and I wasn't expecting this. I hope the new firmware solves the problem, but how do I update ? There are instructions on how to update the firmware in the provided link. It's quite easy, download a file, extract it to the SD card, put it in the camera, go to the settings menu... and that's about it. I bought the camera 3 days ago and you are right when you leave the cam connected to the laptop it empty's the battery! Happened twice. The P500 doesn't show the % in the camera display, just a "full charge" and then a "half-charge" that pops up when it's nearly depleted. As for the "charge-remove-reinsert" that makes it charge again, I tried it once or twice and it indeed showed charging for a couple hours more. In any case, it didn't seem to have any effect or make it last longer. Are you extracting the zipped file into the root folder of the card directly? It should show up. carlos, what do you do when you have extracted the zipped file and your camera will not accept the new firmware version? ?/ what then. It continues to drain the battery and on each try to set up the new firmware it gets worse to the point that the batter y is now drained and no way to update at ALL now, because guess , what, the battery is dead and even if it is plugged in it wont charge... go figure... so no way to get the camera on to fix the issue. Thoughts how to fix that issue, so you can update the firmware?! Normally I charge my P500 using USB cable .One day when i charging my P500 i saw that power indication is turn off. I turn on it will get message like Battery Exhausted! Please any one help me to overcome this problem. I'm tring this right now, I'll let you now how it went in a couple of hours. I am not sure if mine has a battery problem but its draining pretty fast. How long is the battery suppose to last? I want to buy this camera.what is your suggestion? should i buy this camera? 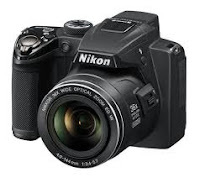 I want to buy this camera(Nikon coolpix p500).I need your suggestion. should i buy this? please help me out. If you don't mind Google Auto-translate, you can check the Nikon P500 review I did in my main portuguese blog. I charge mine with the supplied charger, never really timed it, I usually leave it charging overnight - but I guess 4h should well be within the norm. As for the card issues, better try with another card brand just to make sure it's not a defective card or incompatible one. Do I have to format my sdhc card before first use with it in the p500? It wouldn't hurt. Although most SD cards works just fine, some do need to be formated in the camera. I just bought this camera , and wehile reading on above comments I checked my cam and firmaware was COOLPIX P500 VER.1.1 is this alraedy updated? or I still need to update ? i do wish nixon releases a 1.2 or a 1.1.1 for this battery exhaust problem. ever since i got this camera i hardly have used it at all due to this bug. Just started experiencing this problem: Flash on my P500 no longer works. Flash icon on screen remains with line through it. I've gone into menu, removed/reinstalled battery, nothing works. Get message to raise screen, when I do I get message to raise screen, it doesn't recognize that flash is raised. Anyone familiar with this issue? I am having this same problem now…did you ever reach a resolution? Hello. I just bought this camera and took about 100 pictures and so far loving this camera however, the battery emptied so fast. I charged it using USB cable connected to the wall plug. I see the on/off blinking orange right now and decided I should leave it till morning since I read the above comments that it lasts approx. 4 hours. Will it turn off by itself? Will the blinking stop indicating it's fully charged? Please let me know. Thank you. Yes, just leave it charging until it stops blinking. Help! My daughter is on holiday with a Nikon Coolpix P500 purchased new after Christmas 2011 and I am trying to help her via long-distance. The camera refuses to shoot a picture. She has tried in multiple settings. Battery shows fully charged and the SD card has much space remaining. She has powered off-on numerous times. She has tried removing, then replacing the battery and memory card. Camera worked fine yesterday! Help! This is the problem Im having. Have anybody else had this or fixed this? I used to charge P500 using USB connection to my laptop. But when I turned off the Auto Charge by USB option, it doesn't charged by my laptop. fine. But im into a big problem now, the battery is drained and im unable to charge it using USb connection in my laptop & also not possible thru USB adapter. I can't turn on now... please help me!!!!!!!!!!!!!! Hi Carlos, my P500 has the 1.1 firmware version, and I disabled the Auto Charge by USB option. I have never had the drain problem when turning on the camera, but I've got a bad time with the duration of the battery, especially when making movies (720p 30fps). It lasts exact 3min30sec with a full battery. I have 2 batteries and they behave the same. Did you have the same issues in yours? Did you solve it, somehow? For me the disable USB Auto charge improved the battery, but indeed it never lasted much. But it certainly lasted more that just 3 minutes - at least 30 minutes or so of HD Video recording. Can you try with a different memory card just to rule that option out? In the end, the only way I "fixed" the issue was replacing the P500 for a newer P510 - and after that bad experience, now I'm "amazed" by how much the battery lasts. I can't yet understand how/why Nikon messed up the P500 so badly! thank you! I HATE this camera b/c of the battery issues. the batteries will look like they're charged, but when I put them in the camera, they aren't. I've already purchased new batteries and having the same problem. So I hope this fixes it. Carlos Martins is right. Use the plug in wall charger and leave it until it lights green, do not charge it from a PC/USB. I own a Coolpix P500 X32 and I have good results with aiming the telephoto even on Dragon fly (Halloween Pennant) or American locust. the P500 is a good camera for research and studies. My p500 has been plugged in for over 6 hours and still blinking orange. Leaving for 2 week tomorrow and camera won't charge! Suggestions anyone? Are you using the original charger? Found that it doesn't like 3rd party chargers very much. I am having the same problem. My P500 wont turn on, I haven't used in it months so I put it on a full charge, it has been charging for about 5 hours now and it is still blinking orange. I am using an apple plug in charger as I lost the original. Should I buy a new original adaptor? Usually the camera will turn on when I remove the lead, even if the charge is not full, but it doesn't do this anymore. Also, my laptop will not recognise the camera when it is plugged in via USB. One thing that I recently discovered was that,although many 3rd party chargers failed to charge the Nikon, anker chargers with iq charging do work perfectly. For the cases where the problem might be the charger it might be of interest. How does the P510 keep time if you take the battery out? I have the P510 and it stopped keeping time a week ago. I have to reset the time every time I use it. It hold the time for a few hours but i am trying to figure out the problem. Than this morning I tried to turn it on and it wouldn't come on. the green ring around the power button lit up but that's it. Than a hour latter it turned on again. The battery appears ok but is there another internal battery? there must be something to hold the time when i take the rechargeable battery out. How long a P500 battery last...? Yes Nikon has early battery drain issue. I used P500 for almost 3 years occasionally. whenever I opened it for use I found battery drained off. recently I opened it after long time to found it totally dead. I was about to buy new battery but thought of an experiment. I have one 12V DC 1.5 amp eliminator. I connected positive negative terminals to battery and dosed current 4 to 5 times 2 seconds each. it worked! battery was live and can use it further.